The world of advertising on screens has changed immensely – and will only continue to change. Streaming services like Netflix, Hulu, and SlingTV, for example, allow consumers to choose new ways to watch TV; cable or satellite subscriptions are no longer necessary. According to eMarketer, 24.9 million people cut the cord from cable television in 2017, and in 2018, 33 million people moved to streaming TV. And these numbers will continue to rise. This is huge for marketing because the advertising spots for cable TV are completely different than ad spots for streaming services. In this article, we talk about the future of advertising and how to still get TV ad space without the old TV ad prices. According to Nielsen, over two-thirds of U.S. homes have devices that stream video, and Americans stream nearly 8 billion hours per month. Some streaming services, like Netflix and Hulu, don’t have commercials or offer commercial-free subscriptions. SlingTV, the ABC, NBC, CBS, and ESPN apps, and almost every other TV channel standalone app. Their commercial spots are sold separately from the commercial spots they have on traditional cable TV. Here are the two most significant ways they’re different. 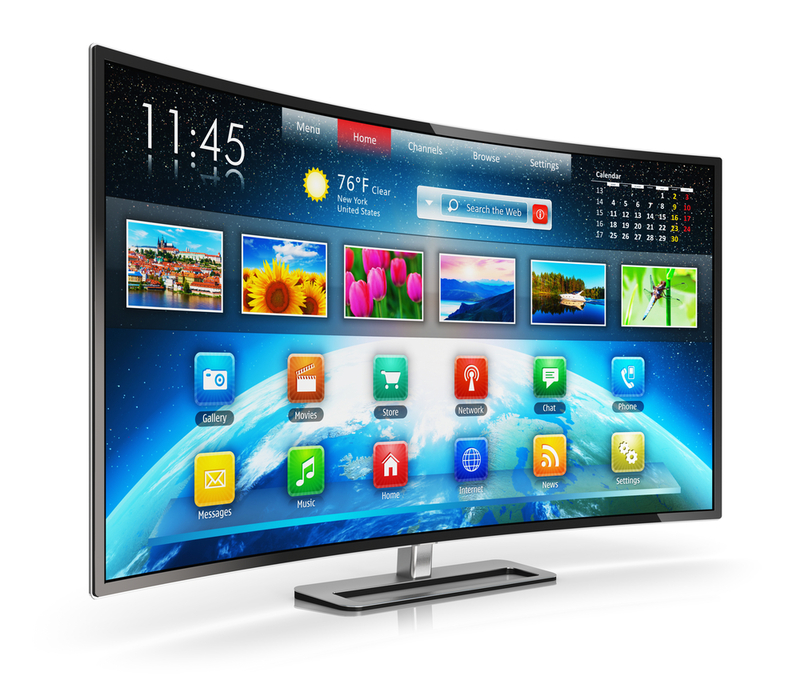 The cost of cable TV advertising spots varies based on the popularity of the show. For instance, it costs $56,000 for a 30-second ad on ABC’s America’s Funniest Home Videos, whereas it costs $204,000 for a 30-second ad on Grey’s Anatomy. There are a few reasons for the price gap. The most obvious is that Grey’s Anatomy is a more popular show – more eyes are watching. The other reason is that Grey’s Anatomy runs on ‘Prime Time’ television, Thursday at 8 pm. America’s Funniest Home Videos is on Sunday at 7 pm. With a streaming service, rules about prime time and ad costs disappear. There’s no such thing as prime time because you can watch Grey’s Anatomy at 3 am, and ad spots are purchased on cost per thousand or cost per million ratios – advertisers pay to get a certain number of eyes on their ads. With cable TV, advertisers pay a base price for their spot whether a thousand people or a hundred thousand people see it. You get much better bang for your buck by avoiding cable advertising. The audience is the most significant difference in cable TV ads versus streaming service ads. With cable TV, you choose your audience based on what you know about a show’s viewers. For example, MTV has different viewers than an ABC show, so you must decide which audience is more suited to your advertisement. You must also consider the specific show because while The Bachelor and Shark Tank both air on ABC, they have very different audiences. And that’s the extent of customization options with cable TV ads. Streaming services offer far more customization options. You can target audiences based on where they live, their online behavior, and their demographic. Targeting specific locations is helpful. Say Chick-fil-A wants to run ads for a new milkshake that they’re only testing in a few stores. They can specify those zip codes or neighborhoods and only people who lived in those areas would see the ads. This would save Chick-fil-A a lot of money because everyone who sees the ad will be in range to test the new milkshake. When you target online behavior, you ensure the ad they see relates to something they’d be interested in. For example, if your online behavior suggests you like bike riding, traveling, and camping, you might see a Target ad for bikes or camp stoves. Showing you an ad for diapers would be a waste of their money, as nothing about your online behavior suggests you have a baby. Choosing specific demographics is a helpful way to target audiences if products work for only certain types of people. If you have a product you know – based on buying behavior – that only people with a specific income will purchase, you can show that ad only to people in that income demographic. It’s another great way to ensure you’re getting the right eyes on your ads. Location, online behavior, and demographics are the most significant ways to customize the audience for streaming service ads, but the options are almost endless. People watch streaming services on smart TVs, computers, smart phones, etc. These can be interactive, which is huge for brands because if someone sees an ad they’re interested in, they can instantly click it and continue in the buying process without leaving their device. With cable TV, they must actively search out a device to handle the ad right then or hope to remember the ad later. The way people watch TV and see ads is changing – if we don’t change with it, we risk losing both valuable eyes and our own money. Streaming services are taking over the TV market so try to get those ad spots. If you have questions or would like to talk to us more about how to implement strategies, we’d love help – so contact us!